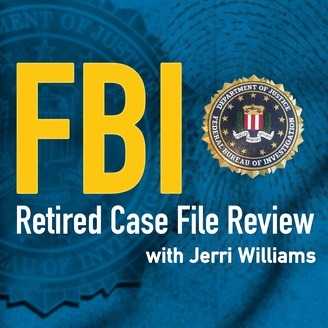 In this episode of FBI Retired Case File Review, Special Agents Jean and Tom O’Connor review the work performed, and the devastating health-related complications experienced by FBI agents responding to terrorists attack sites at the World Trade Center in New York, The Pentagon in Washington D.C., Shanksville, Pennsylvania, and evidence collection sites on and immediately after 9/11. Special Agent Tom O’Connor is the current President of the FBI Agents Association (FBIAA), and Special Agent Jean O’Connor is a Trustee for the FBIAA Scholarship Fund. 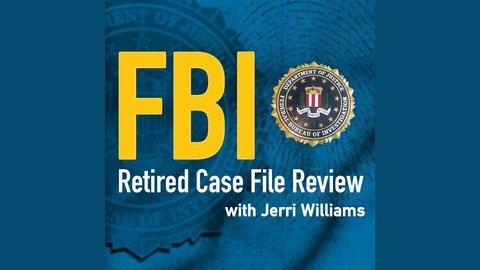 They are both detailed to the Human Resource Division (HRD) at FBI Headquarters to identify FBI agents, current and retired, who continue to battle illnesses related to 9/11 and to make them aware of the September 11th Victim Compensation Fund (VCF). On behalf of the FBIAA, Tom and Jean O'Connor pledge to ensure that these agents and their families obtain the benefits they need and deserve and to honor the 9/11 FBI Line of Duty Deaths of those who have made the ultimate sacrifice. Retired agents can learn more about VCF registration guidelines at the HRD hotline 202-324-3333. Special Agent Thomas O’Connor entered on duty with the FBI in 1997. During his career, SA O’Connor has worked both International and Domestic Terrorism cases in the Washington Field Office on the Joint Terrorism Task Force and is a Team Leader on the Evidence Response Team (ERT). In this capacity, SA O’Connor has led forensic teams to multiple terrorist attacks around the globe. These deployments include the 1998 Nairobi Embassy bombing, two deployments to Kosovo in 1999 for war crimes investigations, 2000 USS Cole attack in Aden Yemen, 9-11 attack on the US Pentagon, 2006 attack on the US Consulate in Karachi Pakistan, six deployments to Iraq and three deployments to Afghanistan. SA O’Connor specializes in Post Blast Investigation and shooting reconstruction evidence recovery. In 2004, SA O’Connor was awarded the Department of Justice “Instructor of the Year” award and was named as an FBI “Master Police Instructor” in 2010. SA O’Connor is a certified Adjunct Faculty member for the FBI Academy. SA Jean O’Connor joined the FBI in 1998. In 2000, she became a member of the Washington Field Office Evidence Response Team (ERT) and was named Senior Team Leader in 2006. As the Senior Team leader, she coordinates the activities of the 40 person ERT team. On September 11, 2001, SA O’Connor was a first responder to the US Pentagon, where she initially assisted in setting up the temporary morgue and later led a multi-agency team in evidence and remains recovery inside the Pentagon. SA O’Connor deploys overseas to investigate terrorist acts and process crime scenes and traveled to Liberia to document sites of war crimes committed by “Chuckie Taylor,” now serving 98 years in US Federal Prison. She has led forensic teams in documenting and identifying evidence of the complex coordinated attack against the US Embassy in Yemen where terrorists targeted US Embassy personnel in Beirut, Lebanon, and at the US Embassy in Ankara, Turkey. SA O’Connor led Washington Field Office’s team to assist in the investigation of Boston Marathon attack and several “Lone Offender” shooting scenes including the Holocaust Museum shooting, two separate shooting attacks targeting the US Pentagon, the 2012 White House shooting, the Family Research Council, and the Washington Navy Yard attack. SA O’Connor is an Adjunct Faculty member for the FBI Academy and has conducted numerous training assignments in the United States, Europe, Africa, and the Middle East.